Fill in your details below and we will let you know within 24 hours if we can get One Night Ultimate Super Villains to you with haste! 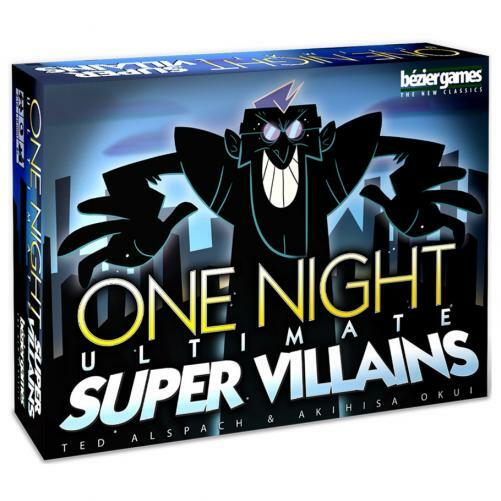 In One Night Ultimate Super Villains(TM), players take on the roles of heroes or villains, each with amazing superpowers that help further their cause. The vile trio of Rapscallion, Dr. Peeker, and Henchman #7 are intent on getting away with their crimes, while the members of the Super Club Of Overt Powers (SCOOP), are all out to catch them. Shady Grove... maybe even the world... will never be the same.